Ever wonder why a city like Minneapolis, which boasts a progressive City Council and is considered one of the most Liberal and LGBT friendly cities in America, has a Hennepin County Sheriff (Rich Stanek) who is a Republican Trump supporter that collaborates with ICE, uses taxpayers money to send deputies to Standing Rock to beat up water protectors, and is on record for freely admitting to using the N word in his private life? If your standing their scratching your head trying to remember who you even voted for sheriff last time around or if you even turned the ballot over, then you need to come by and learn why and how we need to elect Dave Hutch for sheriff this November. This is a joint fundraiser for Dave Hutch: two households, one mission. There will be a keg of beer and some BBQ cooking up on the grill. What we need from you is to bring a cash donation (suggested $10 – $20 but whatever you can is just fine, seriously) and a drink or a food item to share. If you dont have cash come anyways. This is a party and party we will. Southsiders throw down and even if you cant afford a donation, you can afford a vote in November. 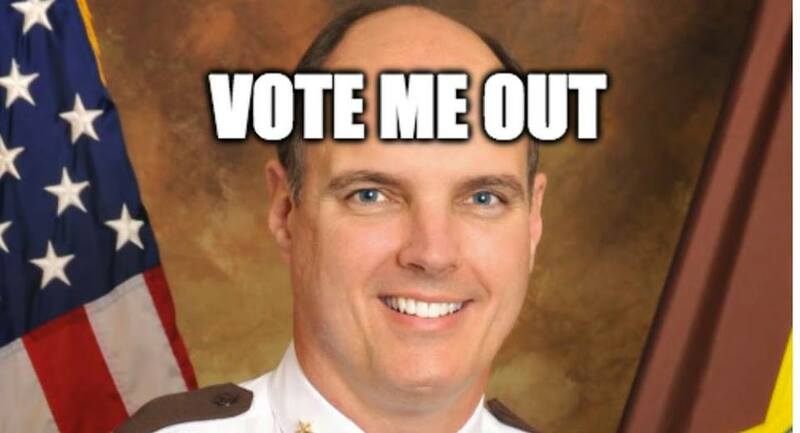 Considering most people dont vote for sheriff, this is a big opportunity for us to turn the tide and oust a career politician who doesnt belong in Hennepin County. Come by and lets party it up for Dave Hutch!